It’s just about that time of year again! The days are getting longer, the sun is out more, the temperature is finally warming up, and pretty soon, spring will officially be here. As the majority of home renovation and design projects take place in the spring and summer, now is the perfect time to begin fleshing out your ideas for your whole home renovation project. Not only has the housing market improved in the years since the Recession — and is even thriving in some areas of the country — the home design and renovation or remodeling industry are also booming as well. In fact, more than half — 53% — of homeowners agree that now is a good time to renovate a home. In addition, more than 60% of homeowners are prepared to spend more this year (2015) than those who made home improvements in 2014. 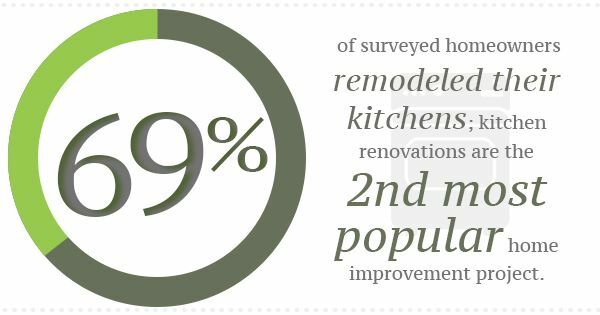 While kitchen and bathroom remodeling projects are the most common — kitchen renovations being the second most popular, with 69% of those surveyed renovating their kitchens — any renovation project is a wise investment towards adding value to your home. This is important to keep in mind when planning the home remodeling process for your whole home renovation project. This will help determine how the renovations are executed and what, if any, hot ticket items or appliances will be installed. For example, if you’re renovating your home with the intention to sell it, you may want to include different popular fixtures or use a different color scheme as opposed to if you were renovating but planning on staying for quite some time. In the latter case, you have a bit more freedom in terms of creativity. Also, it’s important to find a contractor or architect who is experienced in the kind of renovations you have in mind. For example, if an eco-friendly and sustainable design is important to you, and you’d like to incorporate these elements into your whole home renovation project, it may be best to work with an environmental architect.